Fans of the literary works of the American writer Jacqueline Woodson has something to look forward to this year. It was recently announced that the prolific author's newest book titled Red at the Bone will be released on September of this year. The cover for the new book has also been released. Check it out below. The 56-year-old Woodson has penned over two dozen books. She has written for a wide array of audiences from children to young adults to adults. Many of her works are huge bestsellers. For some, he accumulated a stunning collection of awards and recognition. These include the Coretta Scott King Award, the Astrid Lindgren Memorial Award, the National Ambassador for Young People's Literature for the Library of Congress, the Young People's Poet Laureate, the National Book Award, the Hans Christian Andersen Award, and the Newberry Honor. The cover for Red at the Bone by Jacqueline Woodson. 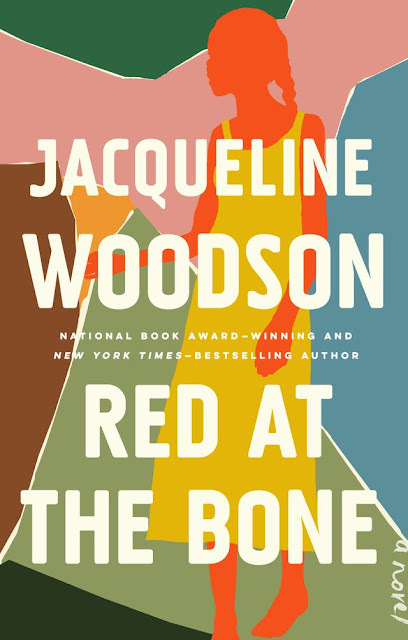 Red at the Bone will be released on September 17, 2019. You can preorder it right now on Amazon. Read an interview with Woodson wherein she talks about her new book here. Ramon Gonzales of the Philippines fought like he was in a rush to catch an early train to Bicol. Gonzales aka The Bicolano made quick work of Japan's Akihiro Fujisawa by making him tap in the very first round with a nasty guillotine choke. The two prospects locked horns in the opening bout for One Championship: Roots of Honor which is currently being held at the Mall of Asia Arena in Pasay City. With the victory, Gonzales improves his record to four wins and two losses. Gonzales debuted in the One Championship in March of 2015. He had a rough start as he went on to lose his first two bouts under the promotion. He bounced back by winning his last three bouts including the one with Fujisawa. All three victories came via submission. This is Fujisawa's first loss since he went professional in 2008. Prior to his bout with Gonzales, he was undefeated in One Championship. He previously fought in other organizations namely Full Metal Dojo and Rings. Other Filipinos fighting in the event are Eric Kelly, Edward Kelly (brother of Eric), and Joshua Pacio. Eric will be facing Kai Tang of China while his younger brother Edward will face Sung Jong Lee of South Korea. Pacio on the other hand will try to reclaim his strawweight belt from Yosuke Saruta of Japan. Saruta took Pacio's belt last January via split decision. 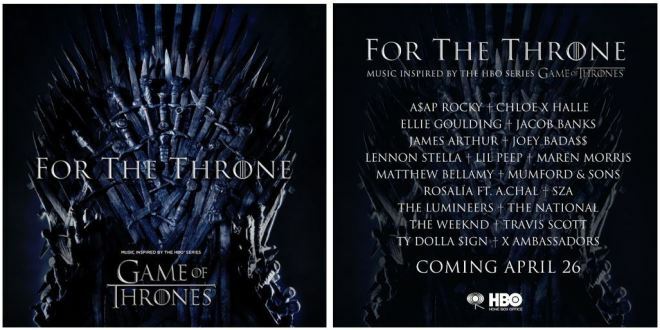 A few days ago, HBO announced that they will be releasing a music album that contains songs inspired by the Game of Thrones television series. The project was in collaboration with Columbia Records, a division of Sony Music Entertainment. The album carries the title For The Throne (Music Inspired By The HBO Series Game Of Thrones). It's expected to be released on April 26, 2019. The album will feature brand new songs from various artists which include the following: A$AP Rocky, Chloe X Hale, Ellie Goulding, Jacob Banks, James Arthur, Joey BadA$$, Lennon Stella, Lil Peep, Maren Morris, Matthew Bellamy, Mumford and Sons, Rosalia feat. A.CHAL, SZA, The Lumineers, The National, The Weeknd, Travis Scott, Ty Dolla $ign, and X Ambassadors. The album will contain fourteen tracks. The whole track list is yet to be announced. The first song to be announced and released from the album is Kingdom of One by Maren Morris. You can listen to the song here. Kingdom of One is the first song in the album. Hours after the song hit online, the third song in the album called Nightshade by The Lumineers also got released. The Lumineers uploaded a lyrics video for the song on their official YouTube channel. You can watch and listen to the song here. The eighth and final season of Game of Thrones will start airing on April 14, 2019. It will contain only six episodes. The first episode carries the title Winter is Here and the second episode carries the title The Rightful Queen. The titles of the four other episodes are yet to be announced. The Lumineers has a new album coming up. It's called III and it's their third studio album. 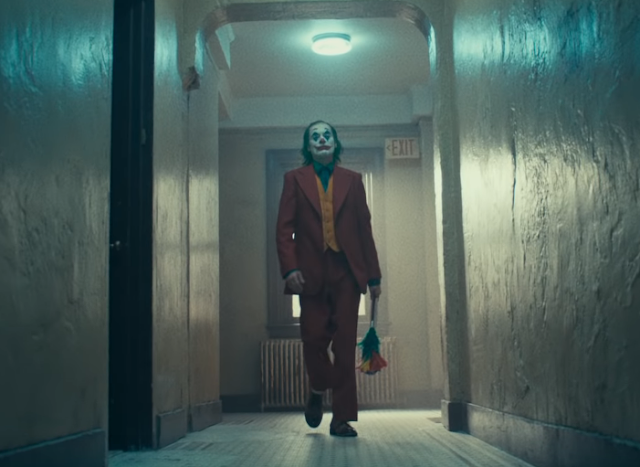 It's scheduled to be released on September 13, 2019. A track list for the album was already announced. Gloria, the first single from the album was released by the band on April 5, 2019. Other songs in the album include Life in the City, Donna, It Wasn't Easy To Be Happy For You, Leader of the Landslide, Left for Denver, My Cell, Jimmy Parks, April, Salt and the Sea. The album also has three bonus tracks. These are Democracy, Old Lady, and Soundtrack Song. On Monday night, Conor McGregor who is arguably the most popular mixed martial arts fighter in the world today, tweeted that he is walking away from the sport. In his Twitter post, McGregor wrote: "Hey guys, quick announcement. I've decided to retire from the sport formally known as mixed martial arts today. I wish all my old colleagues well going forward in competition. I now join my former partners on this venture, already in retirement." Many people are surprised of the announcement because just a few weeks ago, there are talks that McGregor will be returning to the octagon as early as July. A lot of people are also not buying the Irishman's tweet because this isn't the first time that he announced retirement on Twitter. He pulled the same trick back in 2016 when he tweeted that he's retiring after being pulled from UFC 200. The tweet had the MMA community buzzing. As of this writing, the tweet has 42,000 retweets, 137,000 likes, and 10,000 comments. The consensus among fans and pundits is that McGregor is making a power play. He's not retiring. He just wants more money from his next fights. Brett Okamoto, an MMA journalist for ESPN reached out to UFC president Dana White for his comment on the issue. White's answer is as follows: "He has the money to retire and his whiskey is killing it. It totally makes sense. If I was him, I would retire too. He's retiring from fighting. Not from working. The whiskey will keep him busy and I'm sure he has other things he's working on. He has been so fun to watch. He has accomplished incredible things in this sport. I am so happy for him and I look forward to seeing him be as successful outside of the octagon as he was in it." There were talks that McGregor will be facing Donald Cerrone in July but it was recently announced that Cerrone was booked to fight Al Iaquinta instead. Rumor has it that the UFC wanted McGregor to fight in the undercard of an event in July. McGregor turned it down. McGregor last fought in October of last year. He was submitted in the fourth round by Khabib Nurmagomedov. 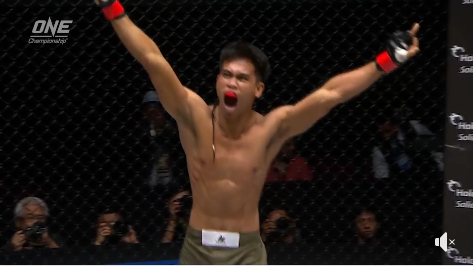 Danny Kingad of Team Lakay extends his mixed martial arts winning streak to four with a unanimous decision win over Japan's Tatsumitsu Wada in the undercard of One Championship: Hero's Ascent. The MMA event held at the Mall of Asia Arena in Manila featured a championship bout between Geje Eustaquio (also from Team Lakay) and Adriano Moraes of Brazil for the One Championship flyweight strap. In the three-round affair, Kingad earned the nods of the ringside judges by controlling the majority of the rounds. He swept the first round with his leg kicks, boxing, and grappling. A couple of times during the round, he was close to submitting Wada but the tough Japanese fighter was able to fend off the submission attempts. The second round was very close with Wada taking down Kingad and making his own submission attempts. The third round was another close round featuring a back-and-forth engagement between the two combatants. With the win, Kingad improves his record to nine wins with just one loss. His only loss was to Adriano Moraes, the former One Championship lightweight champion. After the loss to Moraes, Kingad racked up wins over Sotir Kichukov, Haobin Ma, and Yuya Wakamatsu before being pitted against Wada. With the loss, Wada drops to twenty wins and ten losses. Kingad debuted as an MMA fighter way back in 2014. With two professional fights and two victories, he was signed by One Championship in 2016. He has fought eight times under the organization and he won seven of these fights. Young and constantly improving, he's a promising prospect who might challenge for the flyweight title sometime down the road. By Marcelo B. Lihgawon - Aside from the annual “Gotad ad Hingyon”, this municipality has another a festival to preserve its rich cultural practices. Barangay Anao recently held the first three-day “Tunawon” festival (second cropping of the traditional “Tinawon” rice) which was attended by more than a thousand villagers and visitors from other municipalities. Tinawon rice is harvested once a year or one cropping only, however, with the introduction of modern technology, farmers or planters of the traditional rice variety can now have two croppings a year to increase their yields. 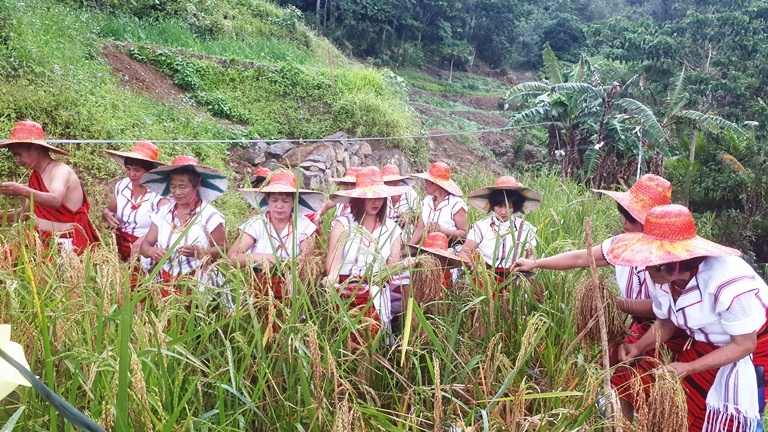 Tam-an Multi-purpose Cooperative chief executive officer Jose Tomas who led the three-day event, explained that the harvest festival recognizes the native farmers who continue to preserve the Ifugao culture. The festival that features cultural and modern activities culminated with contest on street dancing, ‘Hudhud hi botok’ (Hudhud chanting while harvesting), ‘Haydun di Yuyu’ (fish catching), and ‘Binakle’ (native cake) making demonstration. A seminar on biological farming and the groundbreaking on the Anao-Burnay road were also conducted. Orlando Ravanera, chairman of the Cooperative Development Authority who served as the guest speaker during the event, enjoined the people of Hingyon to help regain back and protect the rice terraces, the amazing wonder of the world. "Let's help each other to revive that vanishing God's creation," he enjoined.